With summer just around the corner, Manitobans everywhere are dreaming of lazy weekends at the cabin, and afternoons spent diving off the end of docks into our gorgeous freshwater lakes. Yep, 2018 is pretty sweet...especially when you compare it to our perilous past, only 80 million years ago. The world looked a bit different back then, and Manitoba as we know it today was covered by a giant saltwater seaway. Now, before you get excited for a little ocean dip: let us warn you. This was not a great spot for a leisurely swim. To dig into what lay beneath the surface, we stopped into the Canadian Fossil Discovery Centre in Morden, Manitoba. Let&apos;s start with the least terrifying: the giant turtle, otherwise known as the Archelon. The Archelon remains the largest genus of sea turtle ever documented, weighing in at 2,200 kg. The sheer size of these creatures is enough cause for alarm: just imagine seeing a 5 x 4 metre turtle break the surface. Shocking, to say the least. 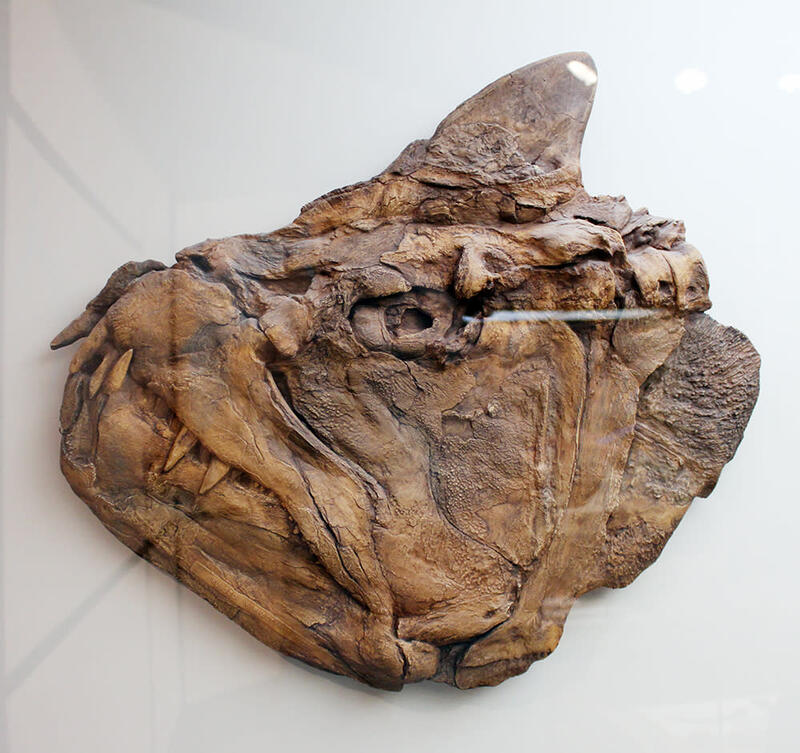 The turtle skull at the Canadian Fossil Discovery Centre is a rare and usual addition to the museum&apos;s collection, simply due to the fact that turtles were actually quite rare in the area now known as Manitoba, and fossils that are found are often shattered, requiring extensive repair. Luckily, sharp-toothed monsters are a thing of the past, but it was a different story during the Cretaceous period. The Xipanctinus was a terrifying, bony fish that literally hunted birds by launching itself out of the water and grabbing the prey with its sharp fangs. In other words, even those creatures above the surface were not safe. 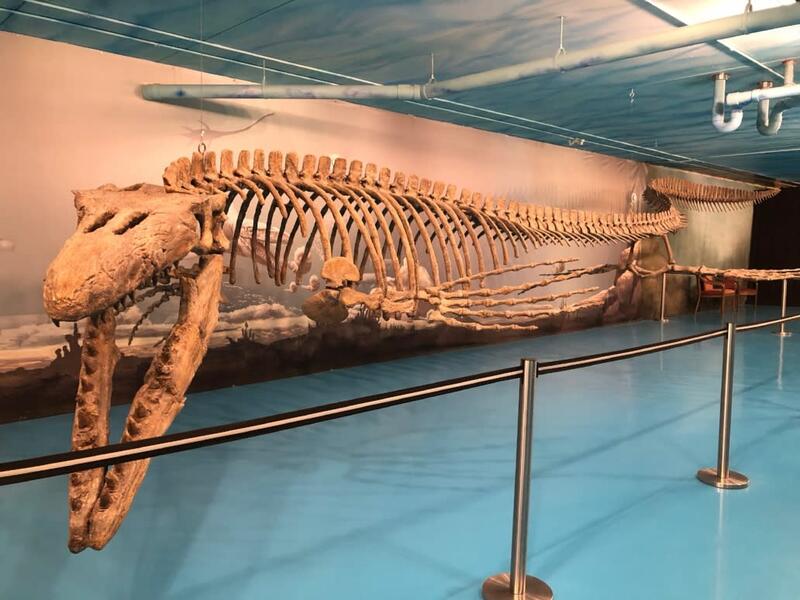 On a lighter note, the Canadian Fossil Discovery Centre is the only location in Manitoba to have received an "Award of Extinction" Master Angler Certificate for the discovery of this ancient fish. 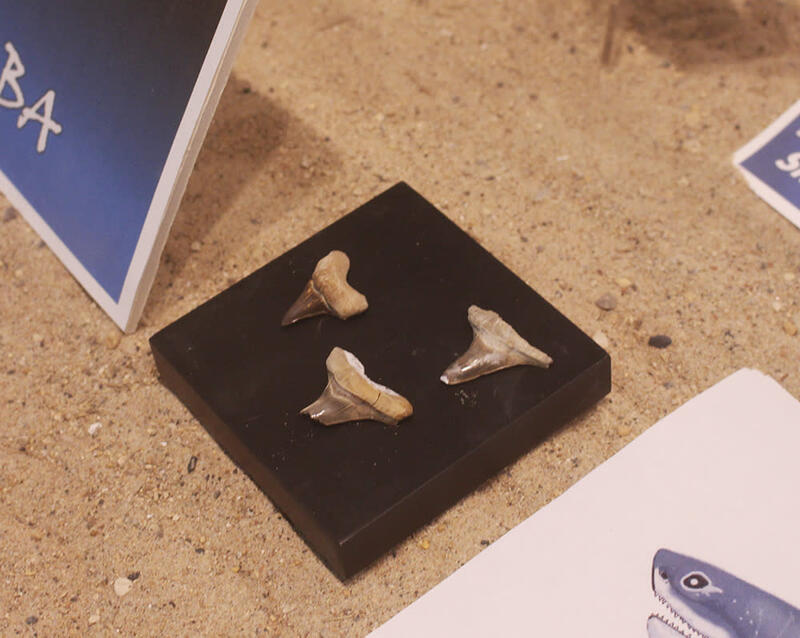 Appearing on the fossil record almost 400 million years ago, we have to give sharks kudos for having what may just be the longest reign of terror (but really, sharks aren’t actually very scary or threatening). 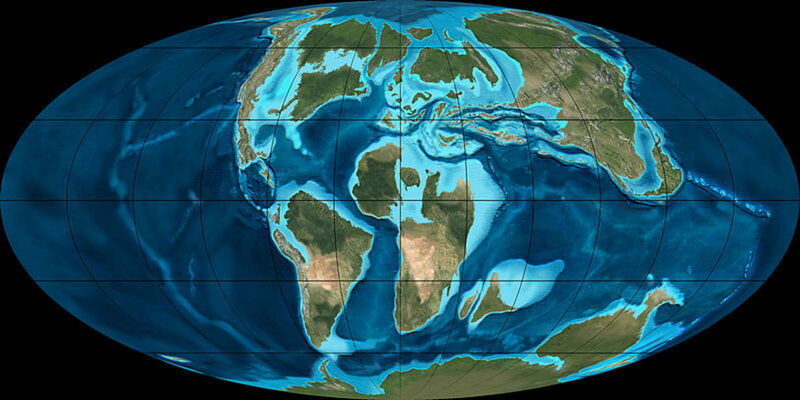 Cretaceous sharks were one of the dominant predators in the seaway, in particular, the Carcharodon, a distant relative of the great white shark. 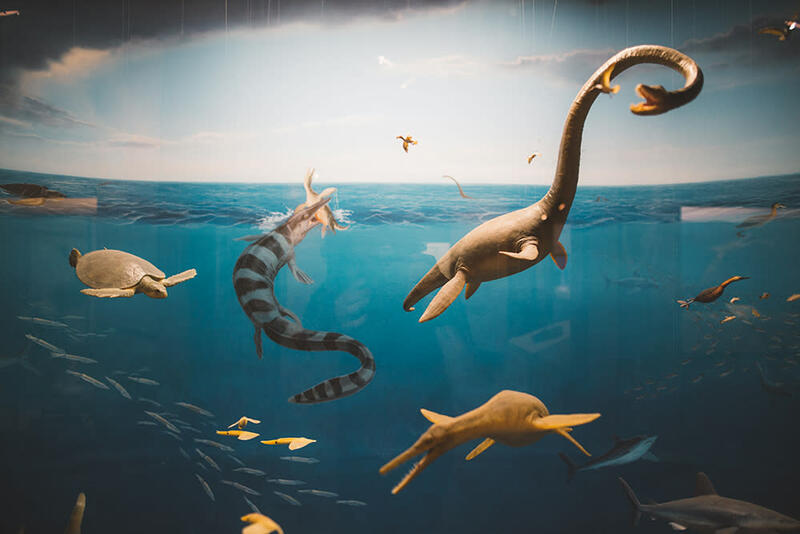 The plesiosaur certainly brings to mind images of the Loch Ness Monster and other mythological sea creatures. The twist? The plesiosaur was very real. While this predator of the sea came in two variations: short necked and long necked, both were expert navigators and hunters of the sea, moving quickly through the water with their lengthy, powerful flippers. We saved the best for last! Count your blessings that you don&apos;t have to run the risk of coming across this giant marine reptile, the mighty mosasaur. 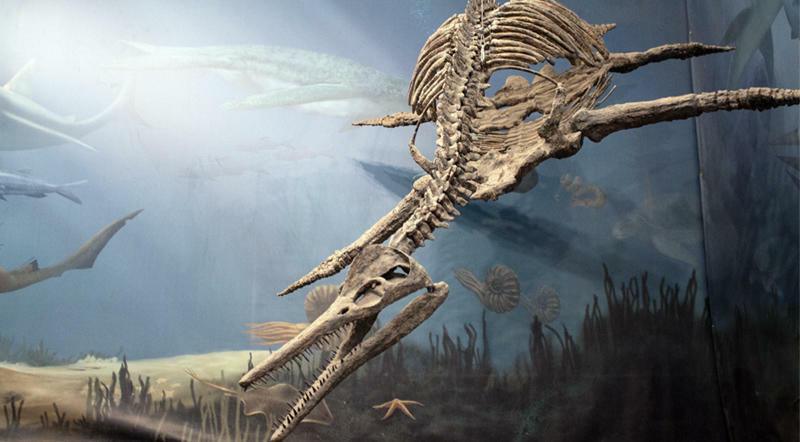 The Canadian Fossil Discovery Centre houses two of them: Bruce, the largest publicly displayed mosasaur in the world, and Suzy, Bruce&apos;s smaller sidekick. The most horrifying physical feature of the mosasaur? Its double-hinged jaw that allowed for it to completely chomp its prey. This, along with its incredible size and speed, made the mosasaur one of the greatest predators of its time. Travel Manitoba staff was hosted by partner Canadian Fossil Discovery Centre, who did not review or approve this story.